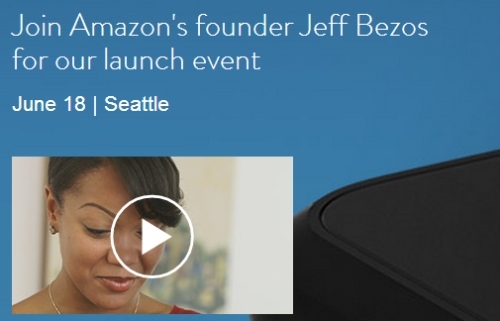 Today Amazon posted a notice on Twitter for a mysterious launch event in Seattle later this month, but was vague about what exactly is being launched. The notice did include a link to a YouTube video showing what appears to be people using some sort of handheld device, but a device was never really shown. In June the rumor was that Amazon isn’t getting enough parts for the production of the company’s upcoming tablet devices. But now it looks like Amazon has found the right suppliers and is reportedly buying all parts that it can to ramp up production of the 7 and 10-inch tablets. Vendor reports suggest that Amazon now comes second only to Apple when it comes to IC parts shipment from Taiwan. This synchs up with the previous report that Amazon is importing 2-finger touchscreen display solution for its devices. So we may be seeing three sizes of tablets. Amazon tablet shipping in August? 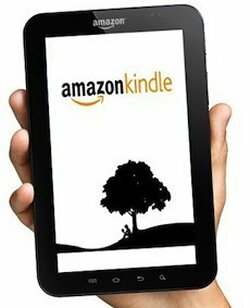 It has been rumored for months that Amazon is about to get into the tablet market. The latest rumor is that Quanta Computer will be responsible for assembling the tablet with a TI processor and Wintek touch panel. DigiTimes says that Amazon has it’s sights set on selling four million units in 2011 and has plans to launch the new tablet as early as August. It seems pretty likely this is true, but you never know. For now, grain of salt. Do you have some spare gadgets laying around? An old GPS, maybe an old Zune or camera? Why not trade them in for a gift card. Several stores offer this already, but now Amazon is joining them by adding electronics as their latest category for trade-ins. All you need to do is choose from the 2,550 items currently recognized and describe the condition of the gadget and Amazon will let you know how much credit it can give you along with a prepaid shipping label. It beats throwing it away right? Amazon tablet shipping later this year? Well, we knew that it was on the way, but when will Amazon ship an LCD tablet? That’s the question. And according to DigiTimes, we have our answer. By the second half of 2011. The tablet is said to feature a Fringe Field Switching LCD display and touch panel from E Ink Holdings, the company behind the Kindle’s EPD e-paper displays. Quanta will apparently be manufacturing the device and production should top out at about 700,000 – 800,000 units per month. Take this with a grain of salt for now. 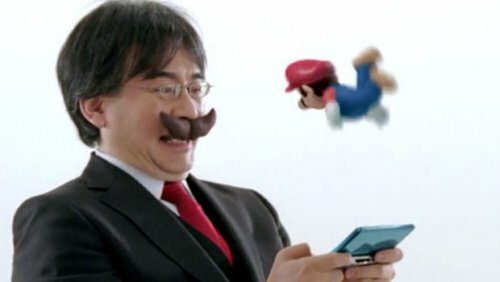 This isn’t confirmed by anyone yet. 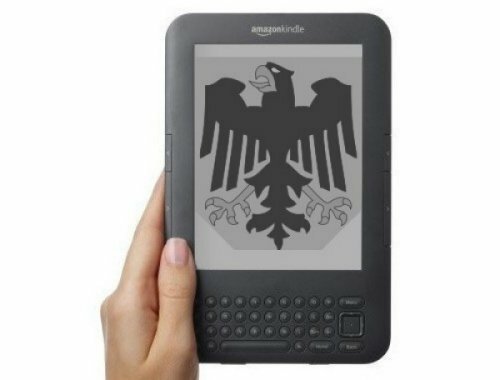 Amazon had already entered the UK’s e-book market last year and now the company has it’s sights set on Germany as it has now launched the German Kindle Store, with more than 650,000 titles. With the launch, the German Kindle Store instantly becomes Germany’s biggest e-bookstore. It has about 25,000 German-language titles, thousands of free classics, and a large collection of independent newspapers and magazines. 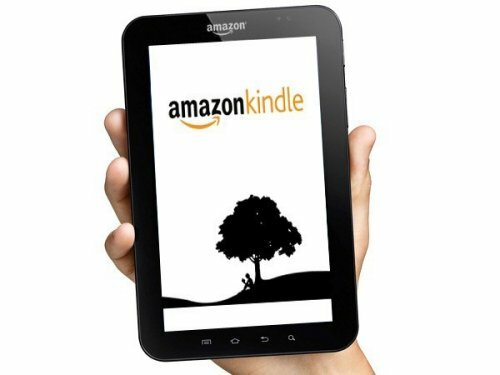 Customers also have the ability to buy the latest Kindle and Kindle 3G models directly from Amazon.de, along with free, German Kindle apps for iPhone, iPad, PC and Android. I bet the site is extremely busy today. Amazon.com is considering the introduction of a service that would let customers pay for goods in brick-and-mortar stores using their mobile phones. This info comes from “two people with knowledge of the project” so we don’t have any confirmation just yet. This service would use near field communication (NFC) technology, which allows devices to transmit data like payment information, loyalty points and coupons by simply tapping them against special cash registers. It makes sense for Amazon to venture into this field since Microsoft, Apple and Google are said to be planning software, devices or services with NFC themselves. If this does happen it should happen within six months time. 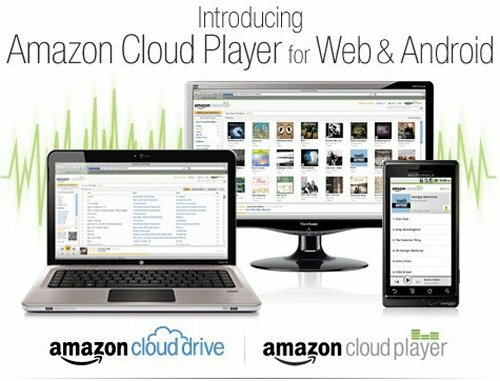 Earlier this morning Amazon rolled out their own music streaming service called the Amazon Cloud Player. If you are an existing Amazon customer in the US, you can upload your MP3 purchases to your 5GB cloud space. It’s upgradable to a one-year 20GB plan for free when you purchase an MP3 album and additional plans start at $20 a year. The other good news is that this service is free of charge too. Those other big guys will have to do some catching up here. We won’t mention any names. This should help you clear some hard drive space and keep those tunes safe. 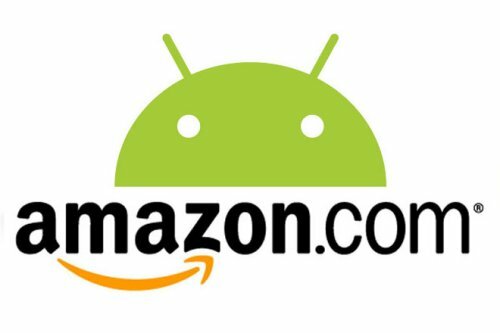 Amazon has added new feature to their Android App Store that now allows you to try applications before you buy them. We can all appreciate that. We will get stuck with fewer apps we don’t like. The feature is called ‘Test Drive’. It’s an online emulator that allows you to try the Android app within the browser. This gives Amazon an edge against Google’s Android Market which doesn’t have a feature like this. The new ‘Test Drive’ feature is only available to users in the US right now and it does have some restrictions. The service is also not available on every app in the Amazon App Store just yet. It’s only available on a few hundred apps, but more are being added as we type. Amazon’s Prime Instant Video service is here, but how does its content measure up to the competition? Clicker.com has the answers and has created this handy chart to help sort out the detail. Netflix has a lot more content right now, that’s for sure, but the Amazon service compares more closely to Hulu Plus than anything else. It’s a good start for Amazon though even though Amazon’s movie selections are lacking in high profile movies not already on Netflix, it does have some unavailable episodes of Mister Rogers Neighborhood, Bonanza and Dr. Who (1963), so that’s something. It’s a beautiful day in the neighborhood. We knew it was coming and now Amazon has unveiled its “free” video streaming for Prime members. If you are a Prime member and get your subscription-based two-day shipping, you can now enjoy streaming of 5,000 pieces of “prime eligible” content. This includes some recent movies and a whole bunch of TV shows. On some foreign films you even have the choice of subtitles or dubbed, and a large portion of this content is still available to “rent” or “buy”. This is only for paid Prime subscribers in the US right now. Amazon’s plans for unlimited movie streaming similar to Netflix seems to be right on track as someone has spotted the service in action. At least one Amazon Prime subscriber has seen options in the Video On Demand section to stream movies and TV shows, even major recent releases, as part of the $79 yearly subscription. The catalog seen by this Engadget reader had 5,000 titles that show in 480p. 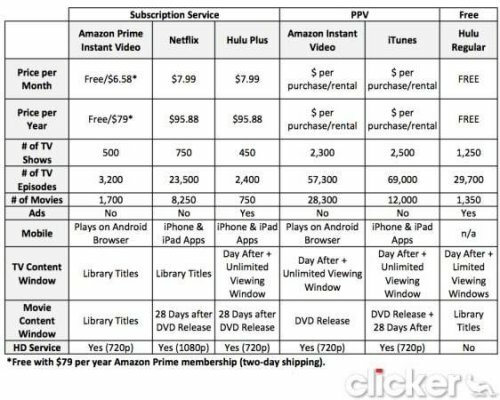 Amazon hasn’t confirmed these plans, and the unlimited VOD may be a trial that isn’t immediately ready to go live. Netflix’s streaming-only plan has a larger catalog but also costs $96 a year. It has been reported that there is a security flaw on the Amazon site that allows customers to log into their account without using their exact password. For example, if your password is PASSWORD, users can enter “password”, “passwordpassword”, “password12345″ to login to the account and it will still work. This is apparently because the site still uses an old password encrypting technique that truncates passwords after the 8th character for some accounts that have kept the same password for many years. So users were not able to protect their accounts with passwords longer than 8 characters. However, Amazon has solved the problem – users just need to update their password, and it should automatically upgrade the password encryption.